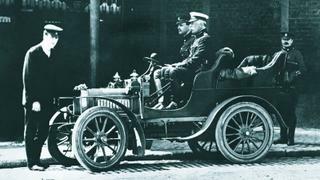 After Henry Royce and Charles Rolls fortuitously met at a Manchester hotel in 1904, they pledged to create the world’s best motor car and the company honours their intention to this day. A Rolls has long been seen as a great car – and great Phantom owners have included the Queen, Karl Lagerfeld, Fred Astaire, John Lennon, Field Marshal Montgomery and the Aga Khan. 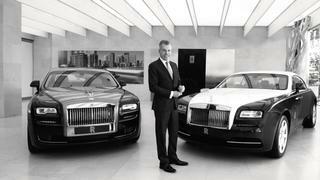 Owners are part of the design process from the beginning, as all Rolls-Royces are made to order. While some choices of finish and trim can be made remotely, Müller-Ötvös says that around half of his customers are now travelling to the headquarters in Sussex, southern England, to visit the Bespoke studio. 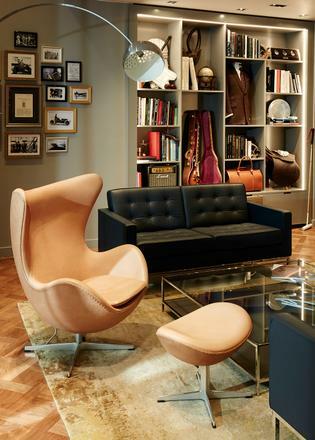 Housed within a state-of-the-art factory complex designed by Eden Project architects Grimshaw (complete with planted rooftop garden and impressive green credentials), this intimate space feels like a room in a private gentlemen’s club. Here, Rolls-Royce’s designers will take you through the thousands of variations you can select for your car: from the paints to the leathers, wooden finishes, decorative details and additional extras. There is a lighting gadget that replicates daylight conditions anywhere around the world. So if you want to see what your choice of paint job will look like in Miami on an August afternoon, you can. Müller-Ötvös sees this process as creating “a piece of art” and calls it a “commission”. Customers get a tour of the whole facility, where every stage requires hand building. The only automated process is in the paint shop, where robots achieve an even coating of body parts. But there is the option of having Mark Court, the company’s coachline painter, hand paint your car using fine squirrel brushes. “Every car is unique going down the line and every car captures certain elements of the customer’s personality – be it through marquetry, embroidery, whatever you like: certain materials, design patterns, outside/inside colour combinations,” enthuses Müller-Ötvös. Rolls-Royce has 20,000 varieties of wood available for veneers and marquetry. It can tell you which orchard your car’s wood comes from, and it stores an archive of logs, humidified, so that if you need to repair or replace your dashboard, say, a perfect match can be sourced. Then there is the illuminated interior headlining. Customers can have an array of pin-pricks delivering ambient light, or can opt for the fibre optic threads to be woven in a personalised pattern. Choose the position of the stars above your birthplace on your birth date, for example. It’s been done. 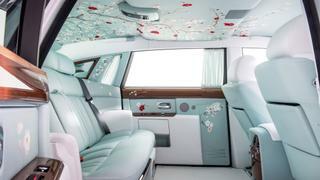 To show what it can do, Rolls-Royce occasionally creates limited-edition or one-off machines as exemplars of Bespoke. One such is a Phantom called Serenity, which is upholstered in hand painted, hand woven and hand embroidered silk, and features mother of pearl, cherry wood and bamboo in its interior. Or there’s the Rolls-Royce Dawn inspired by the Costa Smeralda in Sardinia in a bespoke sea green hue; it features a teak dash with the motif of Porto Cervo mounted on it in emeralds and mother of pearl set into white gold.